Precision is very essential in communication. The communication must reflect its delicate balance so that the message gets through. 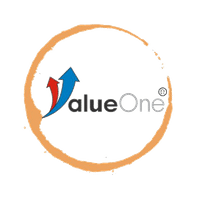 Value One knows the significance of actual communication in business. Keeping this in mind, it offers you the Short Code and Long Code service so that you can get your message effectively to your customers and much more. 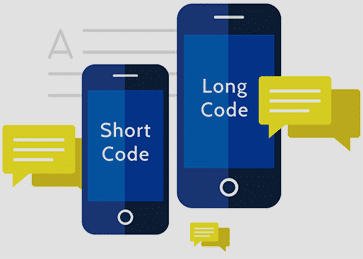 The most intriguing part of any SMS campaigning is the shortcode and long code service. Short Codes are few digit cellular telephone numbers that are easy to remember. Used along with a keyword they can be used to send inquiries via SMS to the consumer. When consumers see a message such as SMS YES/NO to 54545, they respond easily. The sender’s mobile number becomes available as data helping to generate leads for the business. 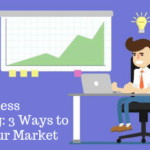 This data can be used for further Marketing and Brand Promotion. Often used to organize competitions, Shortcodes help in expanding Brand Equity and increasing traffic. Being short and easy to remember, they have a higher conversion rate creating more awareness among the target audience. Long Codes are dedicated telephone numbers or virtual numbers used by business concerns to receive SMS or voice calls. In fact, they perform the role of a reception center for the business. Internationally accessible and low in price, these long codes are suitable for running huge marketing campaigns. These can be used for Voting, polls, surveys, and promotions. These allow management of multiple accounts and act as reception process for a business that receives SMS from consumers. It can be used to communicate with suppliers, vendors, sales executives, service engineers allowing two-way communications. Easy to use, long codes allow real-time editing and reporting. These can be easily saved in the contact book. There are certain possibilities that few businesses may use both short codes and long codes; however, some might just use either of them. We at Value One understand this mechanism and as per your requirement, suggest you what would suit you the best! Also, we would take a step further and explain to you the benefits and functionality of the codes because we know that unless you are acquainted with this technology, how you would use it! The shortcode is mostly utilized by businesses for a variety of marketing campaigns that are rolled over from time to time. It is advisable to use a shortcode in case, a business is thinking of promoting brand awareness through various ideas of promotion like contests, lucky draws etc. However, we feel particular that in a long run, the long code is a better choice for business. Without any intervention from the service provider, there is no requirement of getting any endorsement from them for the texts sent via long codes, unlike the shortcodes which have the need of obtaining a keyword from the text messaging service provider. The long code which is a 10 digits long number can be monitored on its own by a business to get text messages and voice calls if it allows to. Elevate your business to new heights of success and expand the horizons of your potential through the innovative codes.